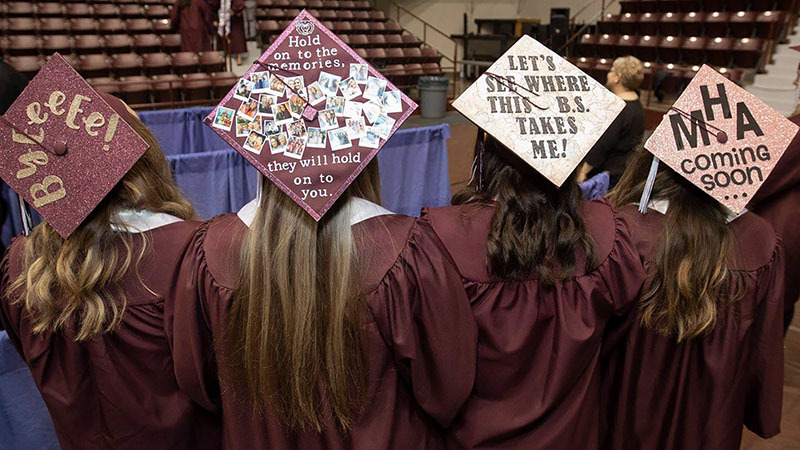 Missouri State University conferred 1,554 degrees to students at its fall 2018 commencement Dec. 14 at JQH Arena. Students earned a total of 1,187 bachelor’s degrees, 354 master’s degrees, 12 doctorate degrees and one specialist degree. Beyond the standard expectations, the university recognized 26 students for their work with a more rigorous curriculum in Missouri State’s Honors College.